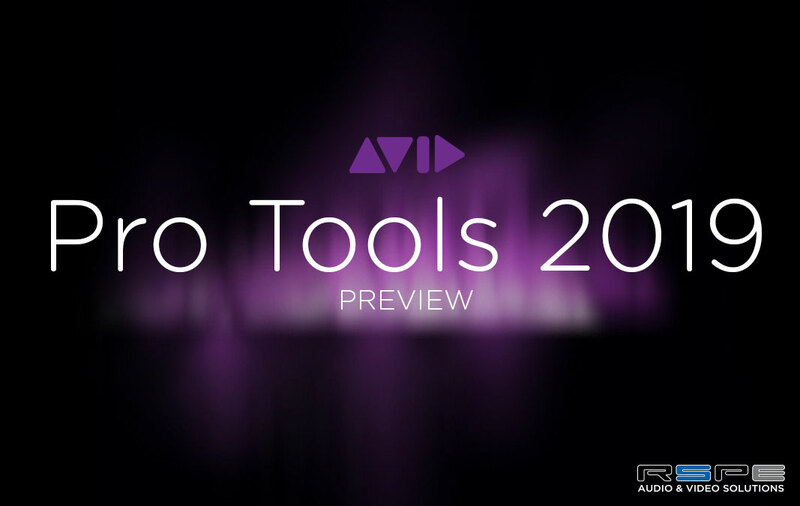 Avid is giving NAB a preview of the next update to Pro Tools 2019. This release introduces a voice limit increase for all Pro Tools | Ultimate customers on active plans, macOS Mojave support, as well as new features that enable fast and fluid creation and experimentation. Pro Tools | Ultimate now enables you to work with up to 384 simultaneous voices/audio tracks (up from 256) with just the software alone or Pro Tools HD Native (does not apply to HDX). That’s 50% more voices! Plus, with Pro Tools | Ultimate Voice Packs (coming soon), you can add 128 more voices per pack—up to 768 total—to support the largest productions. Get more native power to work alongside multiple Pro Tools | HDX systems, without being tethered to a studio or stage. Note: HDX will not get a voice increase – maximum voices will remain 256 per card and 768 per system. Pro Tools | HDX does not support Pro Tools | Ultimate Voice Packs—you can increase voice counts by adding HDX cards. With support for macOS Mojave (10.14), you can now use Pro Tools on any Mac running Apple’s latest OS to boost your creative performance. At launch, further details on Mojave support will be posted to the System Requirements knowledgebase article. Got a lot more song ideas in your head? You can now create and save as many projects as you want locally on your computer, giving you unlimited creative freedom. You can choose up to any three projects to sync to the cloud for anytime, anywhere access. And cycle through any three projects at a time when you’re ready to work on them—simply select the “Synchronized to Cloud” checkbox of any project to toggle session sync on or off. No Official word on when this update will be released, but it will be a free update to anyone on a current upgrade plan. Shop Pro Tools at RSPE Audio and make sure you're up to date!